The Steampunk Forum at Brass Goggles > General Steampunk > Tactile (Moderators: Herr Döktor, von Corax) > Steampunk Katana Umbrella? Just a note on the commercially available "katana" umbrellas. I've had one for years, obtained at the Spy Museum where I worked. It's remarkably sturdy, even more so than my "lightsaber" umbrella. It's protected me from driving rain and stood up, unruffled, to hurricane winds. I live in the DC metro area which tends to be very very tense about the carry of weapons. I have had exactly zero trouble or unwanted attention from law enforcement. I thought that this was going to be a discussion of swords disguised as umbrellas, as might be wielded by the Penguin. An umbrella in a katana sheath? It would be interesting to change the handle of the umbrella to resemble a sword's handle and hilt. It could be a quite marketable novelty item. Well, the whole idea came from people telling my that my umbrella tied to the back of my backpack looked like a Katana (the foam handle is cylindrical). I then found the cardboard cylinders and I've tested it for months with that steel bracket. Worked really well but cardboard has its issues. Most notably I wanted a perfectly smooth surface. We duscussed last page how to adapt actual Katana parts to replace the foam handle, but to be honest if you only wrap the ribbon around the foam handle and you adapt a hilt of sorts, you already have a passable facsimile. My idea was to laquer the scabbard to a glossy shine with some patterns on it. As a 15/16yr I used to carry an umbrella over winter for unexpected down pours. Due to the extreme weather conditions enjoyed in NZ, broken umbrellas are to be found on road sides, buses and other public places. For practical purposes, I chose a large black man's umbrella. It had coverage and was resistant to the wind. Being a short petitely built lass, I did experience the occasional very real fear of achieving lift off. I found there was a n art to carrying a large umbrella, to avoid knocking over or stabbing myself, other pedestrians and passengers and being lifted off the ground by sudden gusts. Pointing the open umbrella into the wind created a pressure that prevented it flying away, lifting up or twistingbaround. When closed, to avoid taking out an eye of unsuspecting passer by or catching myself on poles and other obstacles, I held it pointed down under my arm, like a soldier's rifle. I came in handy as a weapon in several moments of threat from unwanted attention from young male passengers and older male drivers in the road side. 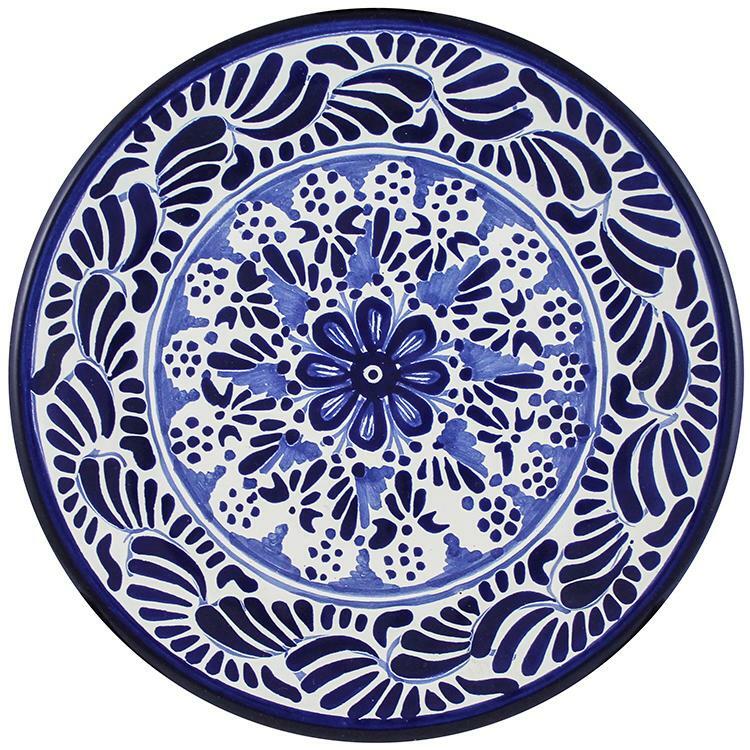 Another idea floating about in my head is to have someone print those ceramic plate patterns on the umbrella's canopy (fabric) itself. That'd make a pretty nice gift. Since those umbrellas are so cheap ($6), I will probably include them with the scabbard. I will need to figure out how to paint the scabbard in other colours. A spray adhesion promoter /primer does exist for plastic. I could try and paint one segment of pipe but I fear the paint will be prone to scratching. Nowhere close as impervious to scratches as the blue PVC glue I used. Indeed. There's a technique to carrying an umbrella. Worse with a backback when you have to run to catch a bus. To stabilise the backpack you pull the straps like grabbing the lapels of a waistcoat. Since you have no hands left to carry the umbrella, you have to use the thumbs to hold the backpack straps, and the rest of the fingers to carry the umbrella horizontally. This prevents you from stabbing yourself with the umbrella if you fall. But it's still dangerous because you can catch poles or people, like you say. That's why I came up with a way to carry it on my back, like a sword by tying the velcro strap to the backback. But that damages the umbrella's fabric (and you still will inevitably catch the umbrella in a closing bus door, for example, or a space between a seat and the inner wall of the bus, thus bending or breaking the umbrella. The scabbard saves you from all that. Oh it would have been so good! I've always quite fancied the idea of the 'umbrella as offensive weapon' (particularly useful for tripping or stabbing those who have pushed in front of me etc); what is so nice about the scabbard is that you can still jab without risking damage to your precious brolly. Well done Mr Wilhelm! Thank you Ms. Courcelle. Field tests show the scabbard performs as advertised. The pipe is quite rigid. Not too heavy and the metal pipe holder is strong and holding fast with epoxy. 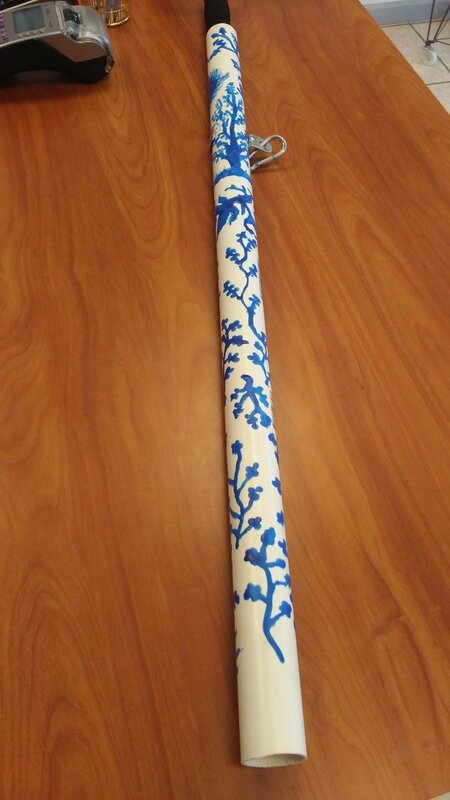 The blue PVC glue is fused to the PVC pipe and has hardened (the glue is a liquid PVC slurry itself). 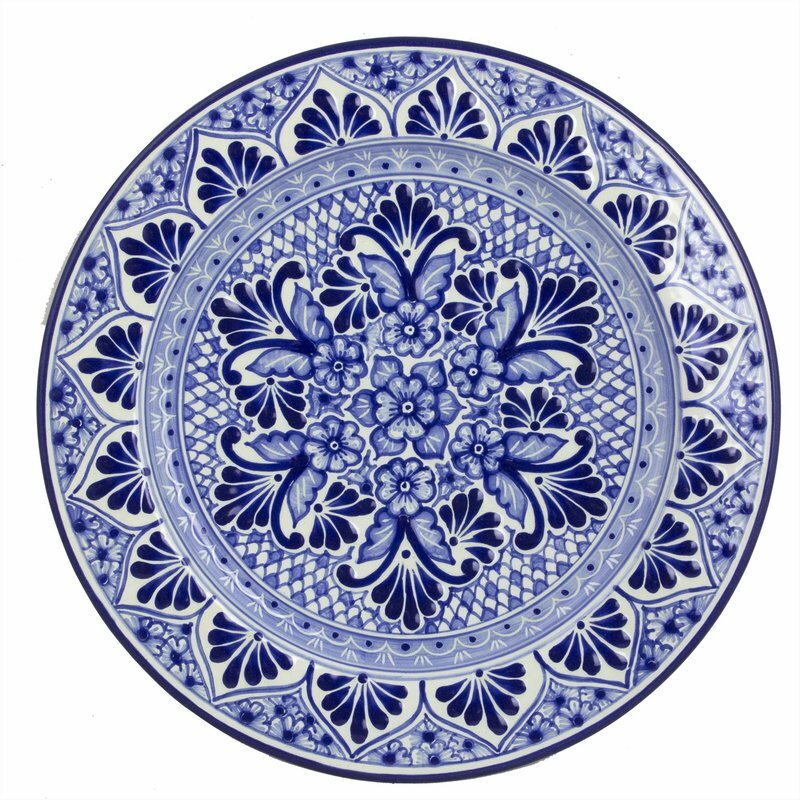 The decorative pattern is raised as thick as 1 mm above the surface in some places, so it's very resistant to scratches. This weekend I'll try to make a second one, hopefully with a better, more organised decorative pattern. I only have bright orange as an alternative colour, though. I don't know if there is an equivalent thin walled pipe in dark grey (electrical conduit). Otherwise I'll have to explore paints. I have a added a pipe cap (stopper) with a small hole to weep out any water, because the pipe is so smooth inside the umbrella tends to slowly creep out of the pipe. Page created in 0.337 seconds with 16 queries.